David looked thin and sickly. Intestinal worms consumed most of the meager nutrition he received from the scraps he found at home or elsewhere. 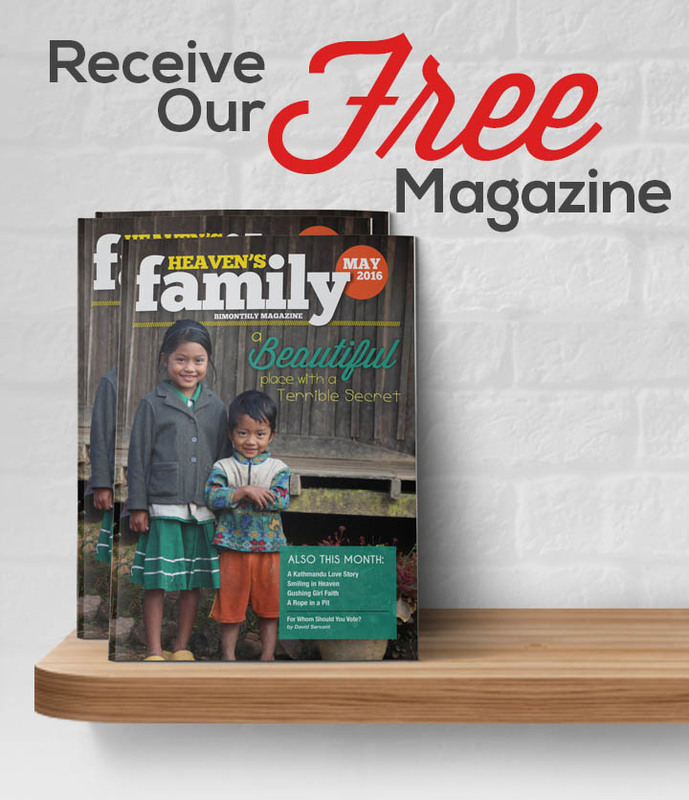 As is often the case in the slums of developing nations, David’s family simply could not care for him. Then, last year, David arrived at Cindi’s Hope Academy in Naivasha, Kenya. Since David’s arrival his entire life has changed, beginning with a healthy diet provided by partners like you who have given to the Food Ministry. After hearing the gospel clearly for the first time, David gave his life to Jesus! He is doing well in school and serving as a role model to his peers. • The Philippines, where we provided rice for Bible study moms living in the slums, and food parcels for very poor families. Also, hundreds of children living in those slums received weekly healthy meals as part of a gospel outreach. • China, where homeless persons received hot meals and the gospel. • Romania, where impoverished families received food staples for their families and a demonstration of God’s love in their need. • Kenya, where a school for abused and abandoned children and a facility for young former prisoners both received chickens and coops that will provide food stability and income, where impoverished believers recieved monthly food parcels to feed their children, and 14 abandoned babies received formula and food. • DR Congo, where destitute, war-ravaged women and their children received food, trauma counseling and skills training. • Kenya and DR Congo, where 560 impoverished nursery/primary school children received a daily glass of protein-filled milk to supplement their nutrient-lacking diets. • India, where severely neglected young children received nourishing meals, as well as medical care, love and Christian nurture. Thanks to you, the love of God was demonstrated, nourishing souls as well as bodies. Like the fish and loaves, God multiplies your gifts far beyond what we can see or imagine. Thank you for giving hope to many with food and the love of Jesus!